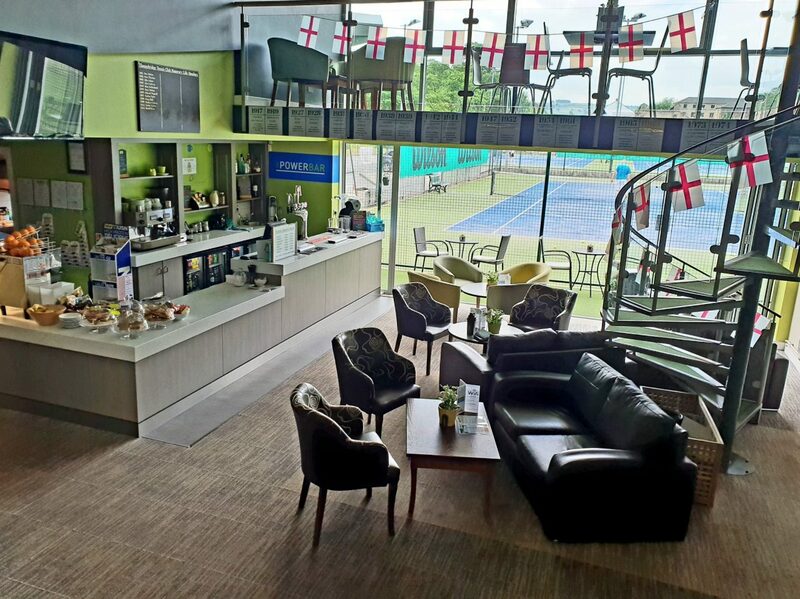 The bar area has a friendly atmosphere with a viewing gallery on each side, one overlooking the indoor courts and the other overlooking the outdoor courts. We are showing major sporting events on BT Sport. We frequently host a range of social events including wine tasting, fashion shows and quiznights. There are members’ events such as forums and committee nights where the club is always looking for new ideas. Please check out our events calendar featuring our future events. We are now serving Sunday lunches one Sunday a month. Our next dates are Sunday February 24th, 12pm-3pm and Mother’s Day 31st March 1pm-4pm. Email reception@thongsbridge.org for more details. 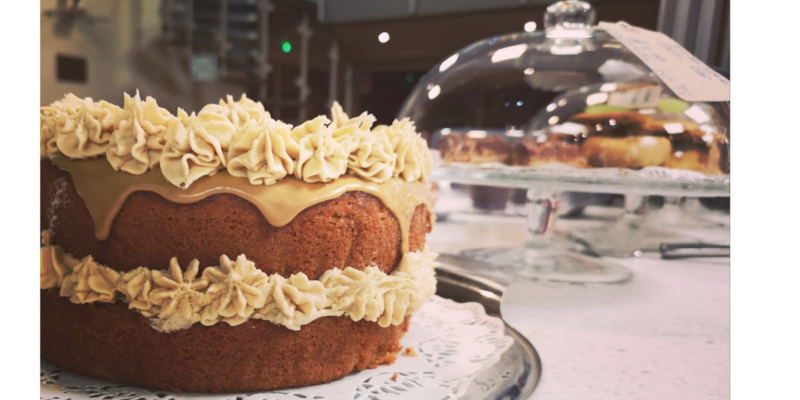 Our café bar has a variety of traditional home cooked food with daily specials, salads, breakfasts, sandwiches, children’s meals and home baked cakes. We offer afternoon teas and a small choice of tapas. Non-alcoholic drinks are available throughout the day whilst food is served during kitchen opening times as below. If you are in a hurry we can rustle up a takeaway meal with a drink. Our licensed bar opens at 12 noon until 11pm Monday – Friday and until 7pm on a weekend. 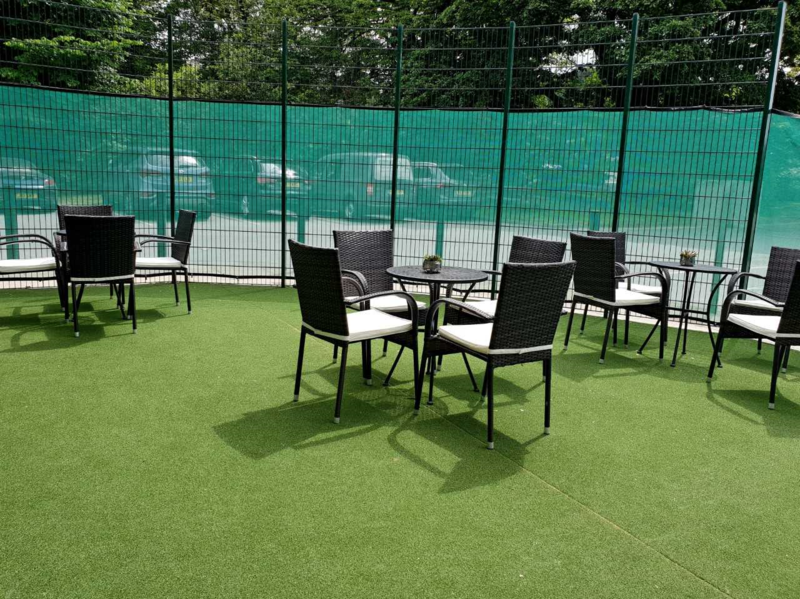 Our café has indoor seating with viewing balconies, BT Sport available on our 4 TVs and a new outdoor seating area accessible through our recently installed sliding doors. 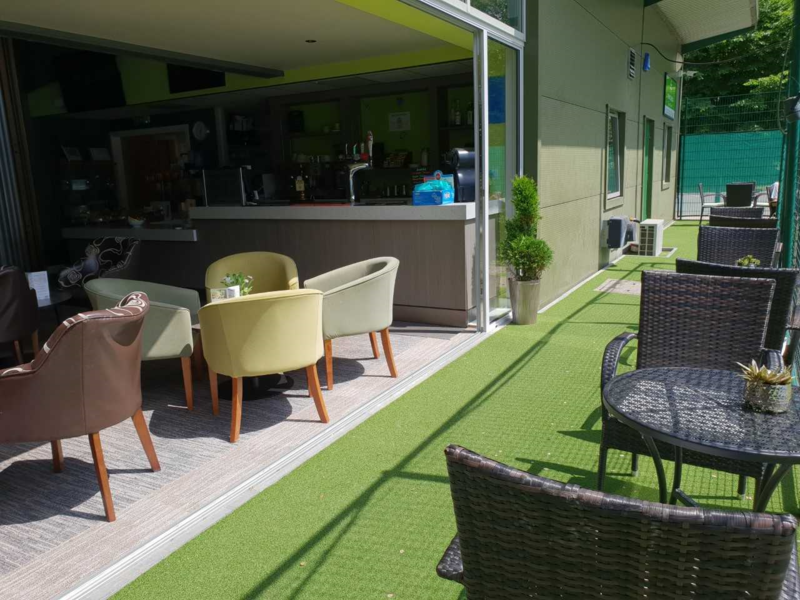 Thongsbridge tennis club is available for hire on Saturday nights all year round and Sundays during the summer. We have seating available for over sixty people. There is ample parking for your guests. We also offer free WIFI at the club for those of you who wish to browse the internet. We have a choice of 2 packages for birthday parties for children celebrating their 5th birthday upwards with up to 30 children. Package A is one hour of supervised activities for children with one hour for food with parental supervision. Package B is 1½ hours of supervised activities with ½ hour for food with parental supervision. Please follow our link to access the party application form, prices and our party menu. Thongsbridge tennis and fitness club is available for hire on Saturday nights all year round and Sundays during the summer. We have seating available for over sixty people. There is ample parking for your guests. We are now offering a new service, homemade cakes and buns to order. We can supply a varied selection of birthday cakes and cakes for any other celebration. Our Christmas mince pies went down a treat. 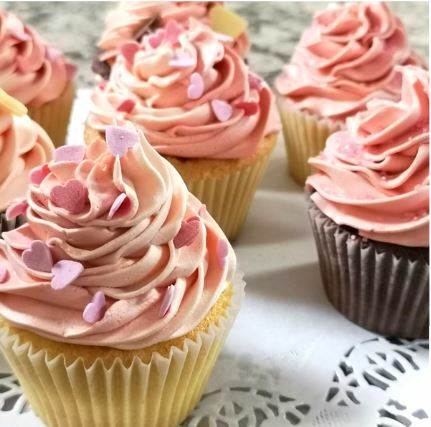 If you are interested in pre-ordering our cupcakes, buns or cakes, please speak to one of our kitchen staff who will be happy to help.